J'ai reçu ce joli sac du site The Archiduchess, inspiration Chanel, je l'adore. D'ailleurs vous avez -10% sur tout le site avec le code promo TADCATH ❤. 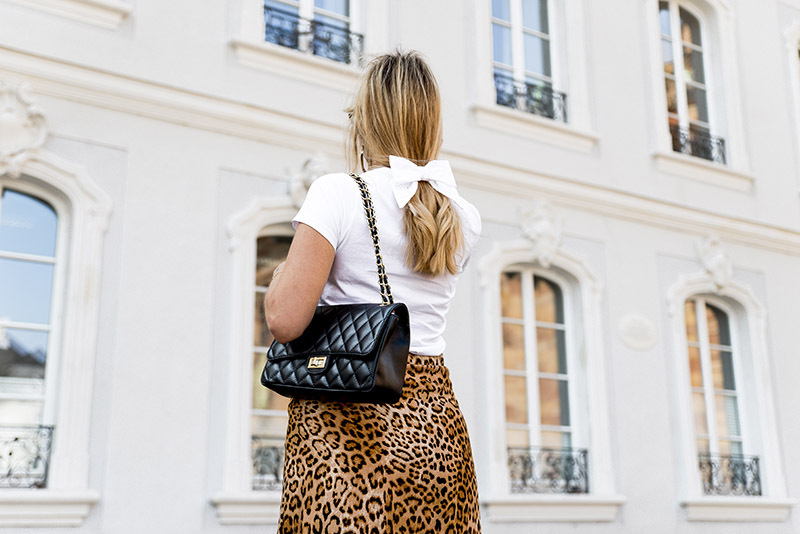 Pour le reste, une simple paire de lunettes noire et des escarpins et le tour est joué! Remember that skirt ? Shared with you a winter outfit with it, well there is the spring version (will probably also be a summer version...). Got that pretty bag from The Archiduchess, very Chanel inspired I love it! Minimal styling : a pair of black sunglasses and heels and here we go !